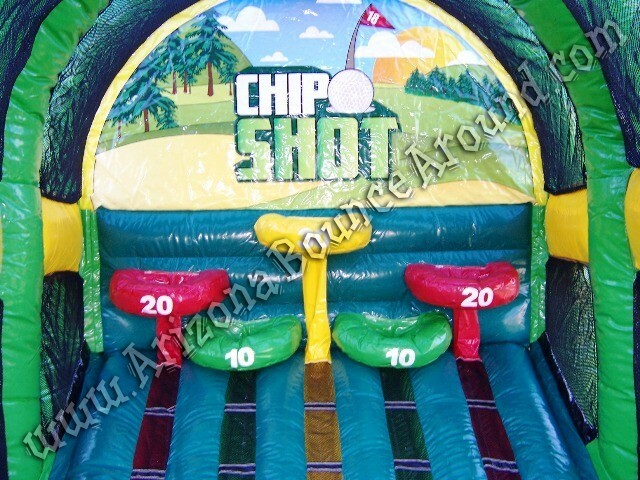 This inflatable golf chipping game rental will be a big hit at your company party or event and comes complete with chipping wedge, a chipping platform with rough and foam golf balls for safety. 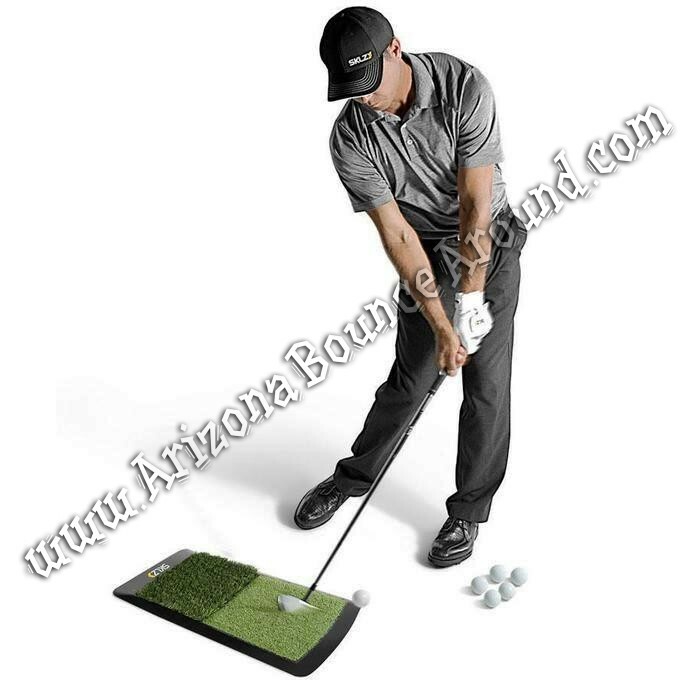 You can use this golf game indoors or out perfect for company parties and events where you want to play golf or have a competition. This game has a special scoring system so you can make it competitive or just play for fun. You won't find a better looking golf chipping game in Colorado. Golf games are always a big hit and can be used at sports themed parties or company picnics as an activity for kids or adults. Golf games can be used as a team building activity or golf challenge between guests or employees. 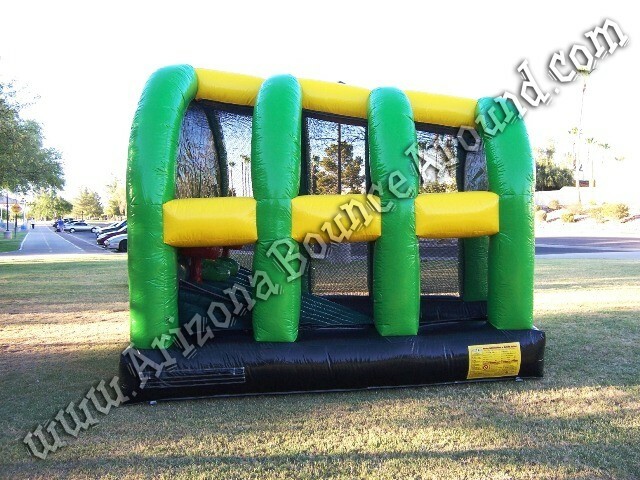 We are a carnival game rental superstore serving all of Colorado with golf games and activities for kids and family events. 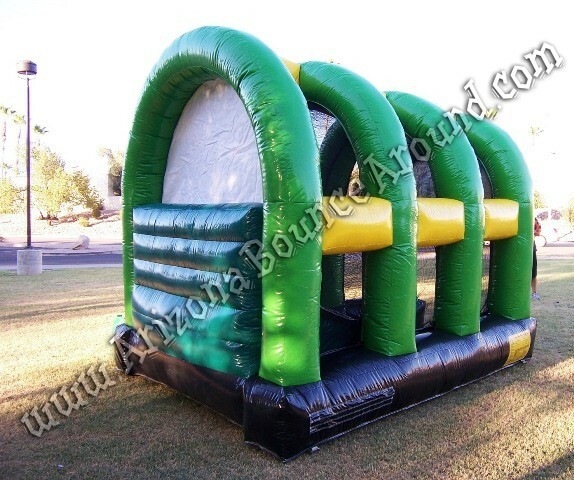 We also rent mini golf games and sports games. 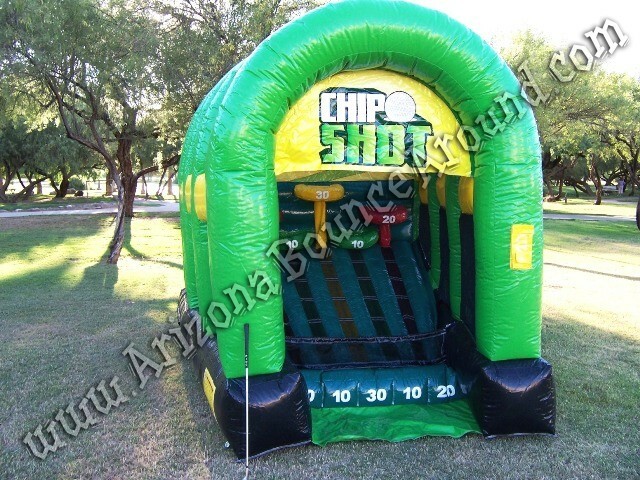 This golf game rental price includes standard set up. Standard setup is considered an area within 80 feet of sufficient electrical supply. Delivery and removal within included delivery area with no restrictions for delivery, set up or pickup.